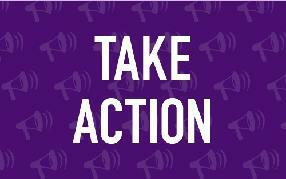 Urge Congress to support increased federal funding for pancreatic cancer research. Complete the form fields with your voting address information. Yes, I would like to receive periodic updates and communications from Pancreatic Cancer Action Network. As your constituent and someone who has been impacted by pancreatic cancer, I urge you to support federal funding to ensure that vital cancer research continues to lead us to a cure. Pancreatic cancer has the lowest five-year survival rate of all major cancers, at just 9 percent. In 2016, pancreatic cancer surpassed breast cancer as the third leading cause of cancer-related death in the United States, and it is on track to become the second leading cause around 2020. This is a race we do not want to win. Thanks in large part to the step Congress took in addressing pancreatic cancer through the Recalcitrant Cancer Research Act of 2012, the National Cancer Institute (NCI) is making progress implementing the bill and providing new opportunities to focus research. For the fourth year in a row, Congress has worked in a bipartisan manner to increase medical research funding. Additional resources to support research efforts have advanced pancreatic cancer discoveries to improve outcomes for patients. Ensure that lifesaving medical research can continue by funding the National Institutes of Health at $41.6 billion for FY 2020, including $6.5 billion for the NCI. Make the nation's deadliest cancer a priority by creating a dedicated pancreatic cancer research program within the Department of Defense's (DoD) Congressionally Directed Medical Research Program (CDMRP). Monitor and support the implementation of the Recalcitrant Cancer Research Act ensuring the updates to Congress include critical next steps and recommendations to continue to advance the field of pancreatic cancer research. In 2019, an estimated 56,770 Americans are expected to be diagnosed with pancreatic cancer, and approximately 45,750 Americans are expected to die from the disease. We don't have a moment to waste, so I ask that you once again make cancer research funding one of your key legislative priorities.